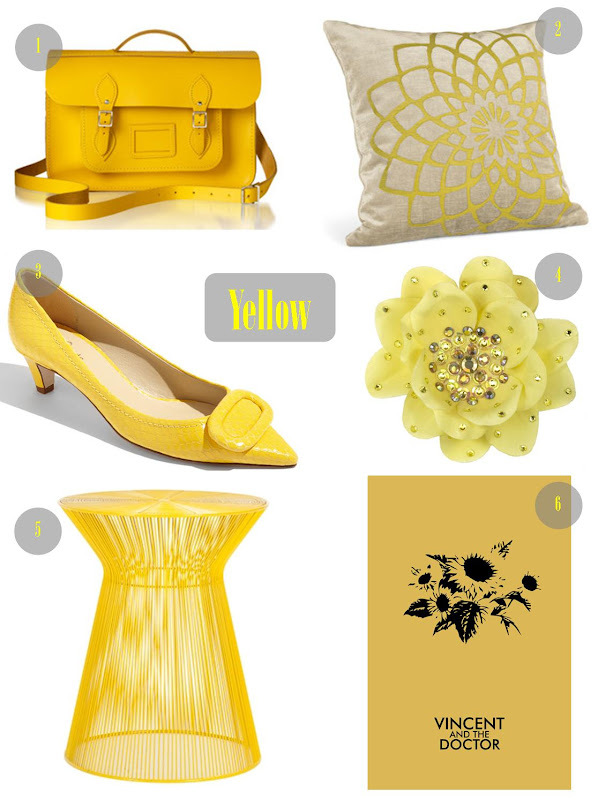 Lately I’ve been wanting to incorporate more yellow into my life. It’s such a cheery color. Don’t ya think? This entry was posted in Ab Fab Friday, Geekin' Out and tagged Doctor Who, etsy, Freedom furniture, Kate Spade New York, Modern Stylographer, Nordstrom, Room & Board, Tarina Tarantino, The Cambridge Satchel Company, yellow. Bookmark the permalink. I know, right? 🙂 Have a great day! I am a wife, mother, daughter, and sister. My family is my world. Baking and cooking make me happy. So happy I could do an Irish jig. I'm obsessed with Doctor Who. Sprinkles make me smile. I'm a sucker for pretty packaging. I'm addicted to blogging. I believe in doing what you love. Join me on a journey through My Shiny Life.